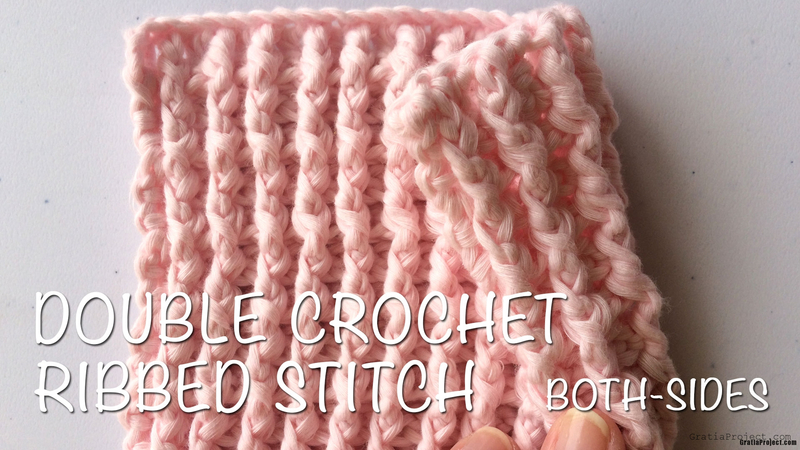 The double crochet ribbed stitch is easy to do. In this tutorial, the finished project has the same appearance in both front and back side. Create a dishcloth, scarf, headband, or even a mug cozy from this pattern. In this tutorial, I used DK-weight cotton yarn and size 4 mm crochet hook. Start with chain in any number. In this tutorial, chain 30. Row 1: Dc in 3rd loop from hook. Continue dc until end of row. Ch 1. Turn. Row 2: (Fpdc in next stitch, bpdc in next stitch) repeat until last stitch. Dc in the last stitch. Ch 1. Turn. Row 3: Repeat pattern (fpdc, bpdc) according to the previous stitches.